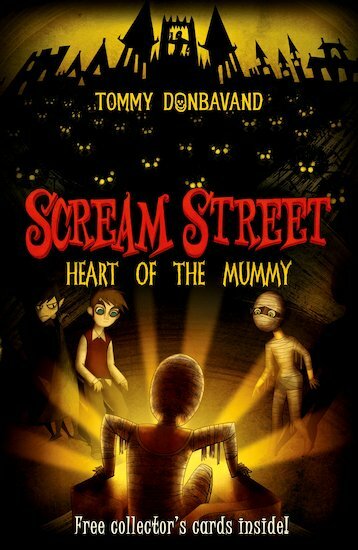 Scream Street has been shrouded in constant night for as long as anyone can remember. But things start looking really black when millions of spiders escape from No. 5, draping everything in suffocating webs. Luke, Resus and Chloe have their work cut out trying to tackle the creepy-crawlies – and in the chaos, Luke is also searching for a vital relic: the heart of an ancient mummy! But evil Sir Otto Sneer is determined to fight him every step of the way. Will Luke ever get this mystery wrapped up? Gripping horror fantasy packed with chuckles from the bestselling Scream Street series. This book is good it’s not perfect but it’s good. I think anyone could read it and still like it.